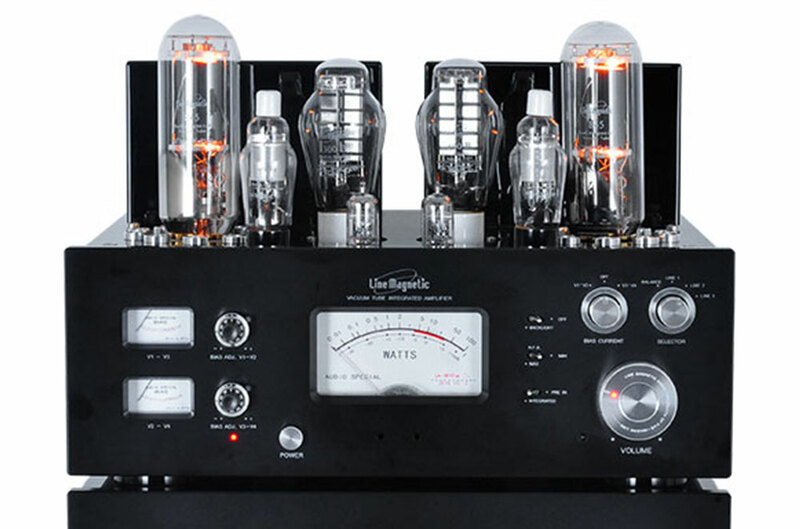 The LM-845 Premium amplifier uses 845 triode tubes mounted in single-ended and operating in pure Class A. It delivers a power of 2x30W. Press - Magazine Haute-Fidélité N°229 - December 2017 - "les saveurs du réalisme". Read the French article in PDF. 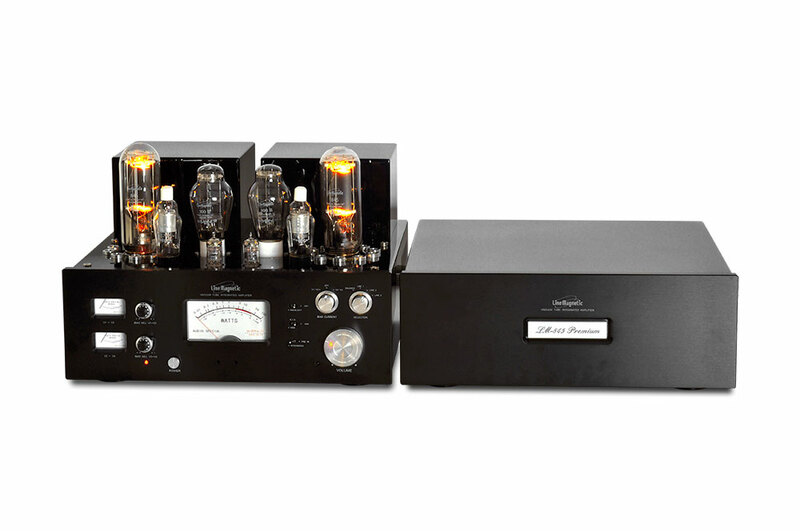 Test bench by hifi-advice.com - View article. 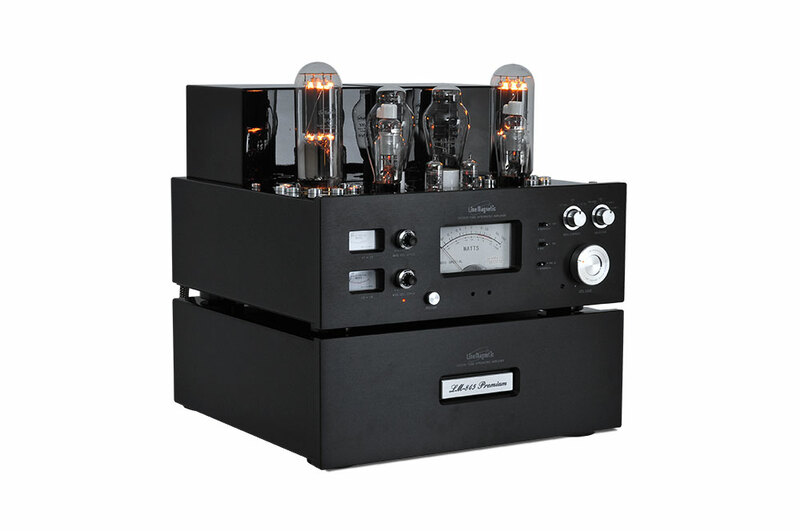 The LM-845 Premium is the result of many years of research on the 845 triode Single ended design. 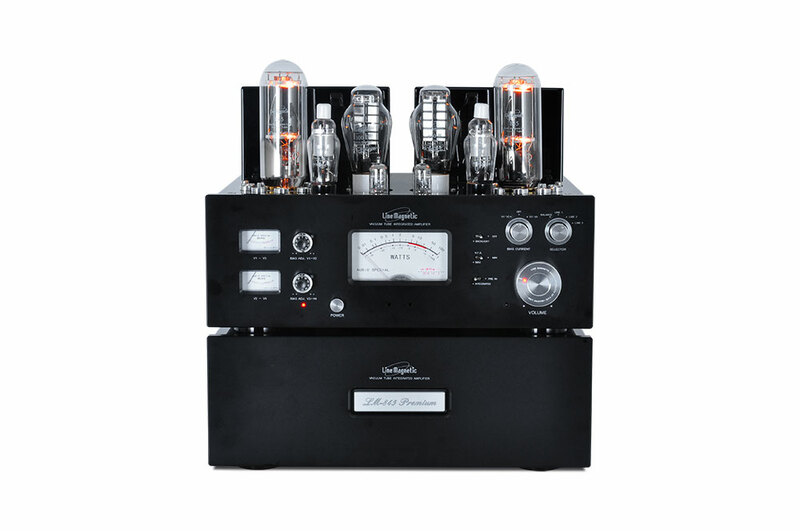 Thanks to its exceptional design and manufacturing quality, it is fast fast becoming the absolute reference in the high end amplifiers world. 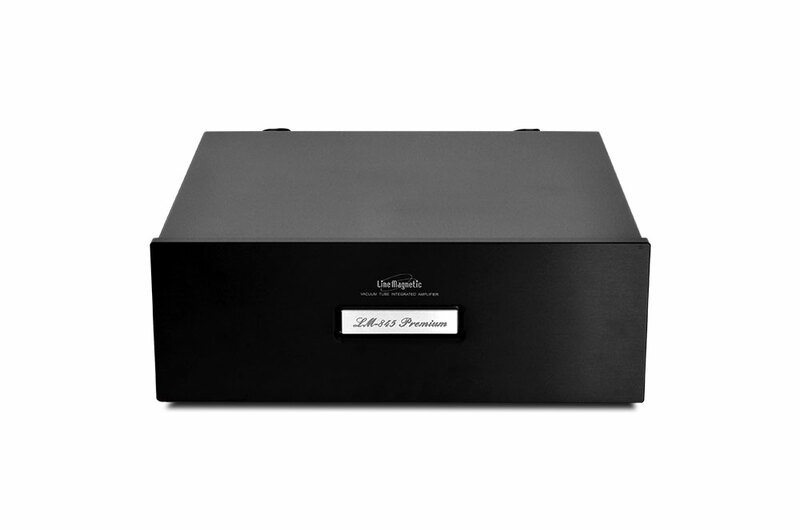 With a power output of 2x30W, it can be use with most of the existing reference speakers. 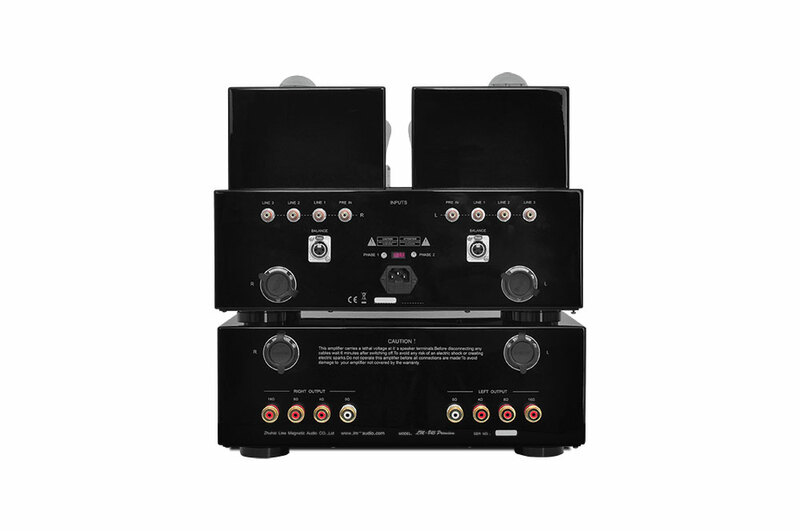 The LM-845 Premium is a combination of two units: One is the amplifier unit and the other is output unit. 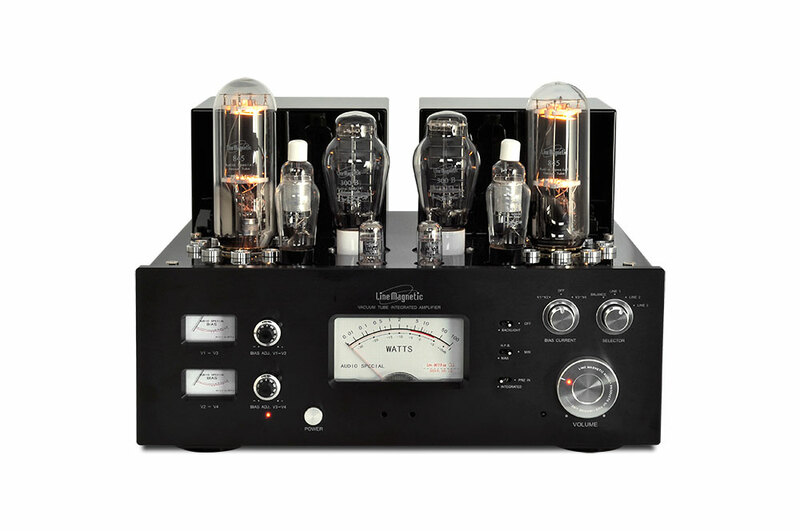 The LM-845 Premium uses Shuguang 300B tubes in drivers, the 310A for amplifier and Shuguang 12AX7 in pre-amplification. There are two user bias controls for 300B and 845 have been used for bias adjustment and two meters has been added to the front plate to allow you to monitor bias with ease. Negative feedback switch is on the front plate that you can choose betweeen two levels of NFB to enjoy the different sound outputs. The LM-845 Premium uses 8 transformers (power supply, filtering, coupling and output)!